Diesel engines with their high efficiency are of great importance for the transport of passengers and goods. However, the typical exhaust gas emissions from the combustion of conventional diesel fuel make further development inevitable, if future air quality regulations are to be met. Second generation biofuels have the potential to reduce the CO2 emissions of the transport sector, while simultaneously mitigating ethical questions surrounding the issue of food production. Furthermore, oxygenated fuels provide beneficial combustion properties and can help to solve traditional conflicts of objectives like the soot-NOx trade-off or the efficiency-NOx compromise. Among many candidates oxymethylene ethers (OME) are discussed to be promising alternatives to fossil fuels for future diesel engine powering. They can completely substitute diesel or may be mixed with it. Polyoxymethylendimethylethers (POMDME, also called oxymethylene ethers or OME), are known to provide almost soot free combustion and their usage might wipe out major constraints of diesel engines by reducing emissions and improving efficiency. 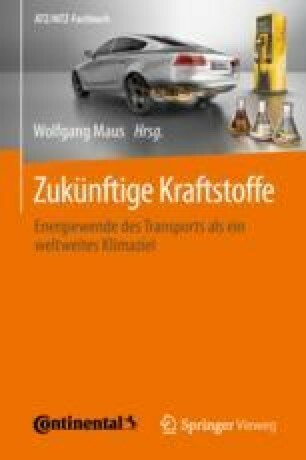 Compiled from research projects at the Institute for Powertrains and Automotive Technology of the Vienna University of Technology [1, 2].